I couldn't resist a few hours on the riverbank this afternoon to see if the barbel were feeding, long story short... No! I did tempt this beautiful little common carp, 3lb 12oz, and the only other fish to grace the net was a chub that really looked like he wanted to go 4lb+ but he was a very hollow 3lb 15oz. Oh yeah, and the stag beetles are out in force tonight. And still didn't get a decent photo of a male. 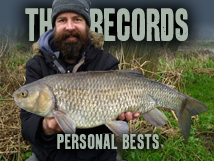 Barbel, carp, pike, trout,... Whenever we see a photograph of Brian, he always has a (large) fish in his hands. Well done. Now the season can start! Lets get this season started!! 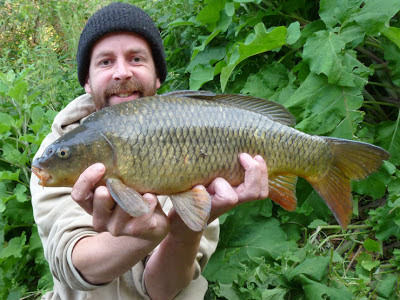 Thats a lovely looking little common. Might give the river a crack tonight myself. Really dark bronze fish, beautiful... Wish it was 10lb bigger but not complaining. Good luck tonight, might give it a whirl myself! A crackin river carp. Never had a carp from the rivers myself. Still firmly on the target list. Thanks. I love river carp, the still water ones don't hold great appeal. My PB is 14lb but a river twenty is on my target list.